House is back on the market due to financing failure.This is a must see, beautifully landscaped corner lot home with upgrades throughout. Master bedroom has french doors leading out to the lanai and screened in pool. Master bath has seperate tub and shower with his and her sinks. Kitchen has beautiful 18" cherry wood cabinets and stainless steal appliances. Open family room with a wood burning fireplace,for those cold winter nights. Huge lanai for entertaining or just relaxing by the pool. 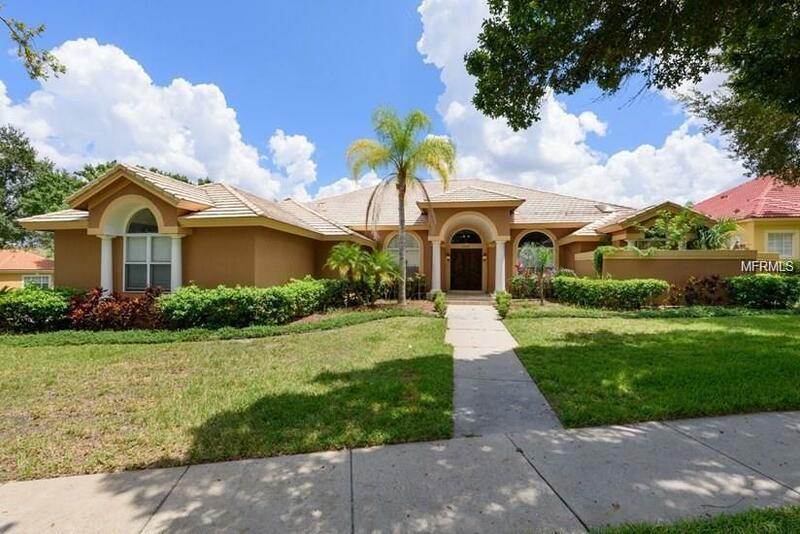 Which also offers a seperate hot tub with jets.A beautiful spacious home located in located in the very desirable gated Metro West subdivision . open floor plan, vaulted ceilings and plenty of large windows make this a very livable and comfortable home. . Lots of upgrades travertine floors thruout the house .French doors are located in different locations of the home; Kitchen granite counter tops , very convenient to the them parks, university , shopping centers & outlet .